Supporting breastfeeding has been a positive experience for Chesapeake Pediatrics. As health care providers we are responsible for giving our patients and employees information and resources they need to make the best decisions for their baby. 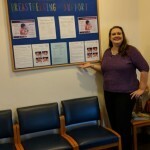 At Chesapeake Pediatrics all newborns and their parents are offered a lactation consult with our IBCLC Lindsay. Lindsay is also available to moms throughout their breastfeeding journey via follow up in person appointments, email and telephone support. Knowing that employment is the norm for most women of child bearing age, that employed women are less likely to initiate breastfeeding and have shorter duration of breastfeeding we have made accommodations for breastfeeding employees. We have a designated pumping location, a lactation policy and support from our IBCLC. We want our families at Chesapeake Pediatrics to have the best possible breastfeeding experience so that they and their children have optimal health outcomes. 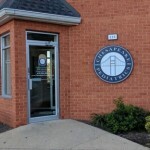 The breastfeeding support program developed for Chesapeake Pediatrics is a wonderful option not only for the mothers of our patients, but for the employees as well. I am extremely impressed at how comprehensive the program is, and how truly dedicated and supportive Lindsay and the staff are at making breastfeeding a positive experience for mothers and their babies. I personally do not have children of my own, however I feel that this program is very beneficial; providing mothers with tools, guidance and unending encouragement to achieve the best outcomes possible. Every mother and baby is unique, and Chesapeake Pediatrics offers an individualized approach, addressing a wide variety of breastfeeding concerns from common to complex. This program is an invaluable resource to mothers, one that other practices should adopt! When I was a first time mom, I had such a hard time breastfeeding. I eventually stopped and gave formula. I wish we had the lactation support we have now. Although my child is healthy and thriving I sometimes regret not having that bonding experience with her. If I have another child I know now that I will have the support I need from our office and lactation staff.